​What are the warning signs of a tech addiction? The Department of Child Development, KK Women's and Children's Hospital (KKH) shares. ​in children can be prevented with firm direction from parents and caregivers. When introducing handheld tech devices to children, parents and caregivers must be prepared to provide clear boundaries with regards to the use of technology. “As games and apps - even educational ones - are designed to keep users’ interest, tech addiction is possible in young children, especially those with autism spectrum disorder who have a limited range of interests,” says Dr Soong Chi Mei, Senior Principal Psychologist at the Department of Child Development, KK Women’s and Children’s Hospital (KKH), a member of the SingHealth group. Excess preoccupation with certain characters found in games or videos, or spending excessive amounts of time and resources on them. Limit the use of TV, computers and mobile devices to a maximum of 30 minutes at a time. 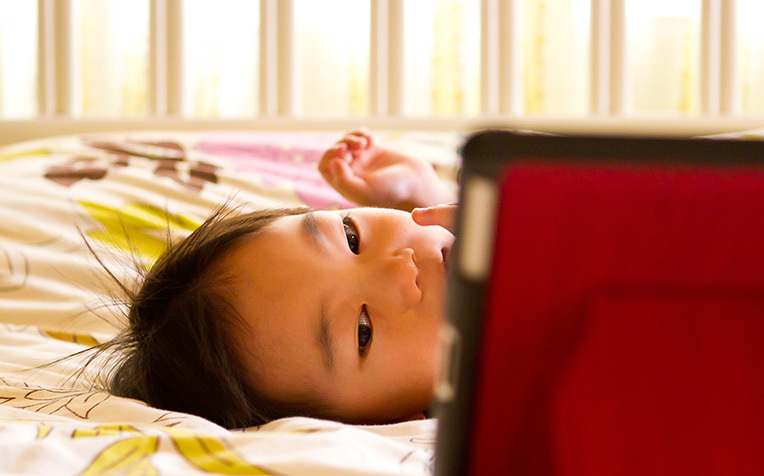 Ensure the total amount of screen time per day doesn’t exceed the age-group recommendations. Schedule an appropriate time for using the device, and plan fun physical activities for your child to engage in at other times. Refrain from putting TV and electronic gadgets in your child’s bedroom, and put away such devices after use. Observe ‘tech-free’ times such as during meals, homework and bedtime. In addition, you can designate ‘tech-free’ zones for your child such as in the bedroom, dining area and in the car. Teach your child early about the importance of moderation. Be sure to offer praise when your child demonstrates restraint in the use of tech devices and follows the rules you’ve set. Monitor access by using the device together with your child. Take this opportunity to communicate, interact and share family values. “At times, with the hectic lives we lead, technology may be used to help occupy a child’s time. However, it remains important for parents and caregivers to be available to talk, listen, play, visit places and actively engage with their children during their daily routines and activities,” says Dr Soong. Read the previous page to learn about the possible dangers when a child overuses tech devices.